Bohemian beauty Pamela Love is brilliant about telling her story. 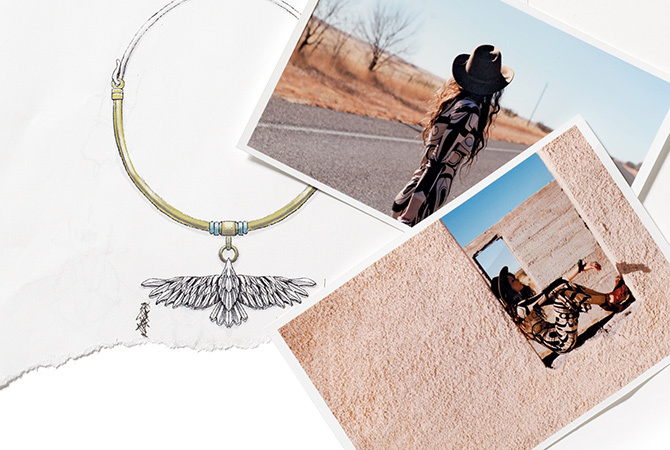 Her website is much more than a place to view her talismanic jewelry collection. Love offers all kinds of ways to enter her world. Her Tumblr inspires wanderlust to another time and exotic place. She has created the most delightful Jewelry Users Guide ever. 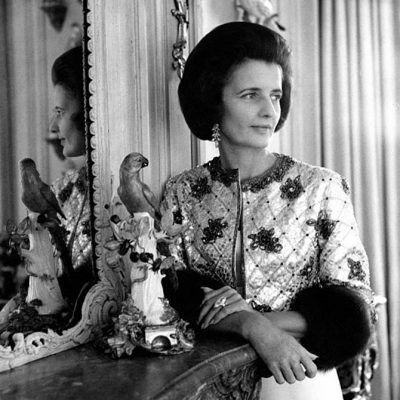 One piece of advice is this gem, “Jewelry is not fond of hard work. We suggest removing your sparkles before hitting the gym, weeding the garden or painting that cool piece of furniture you found.” Her Instagram is a visual dreamscape with an engaged following of some 167,000 followers and counting. Oh and she also has a blog documenting her cool clients, who they are and what they do. 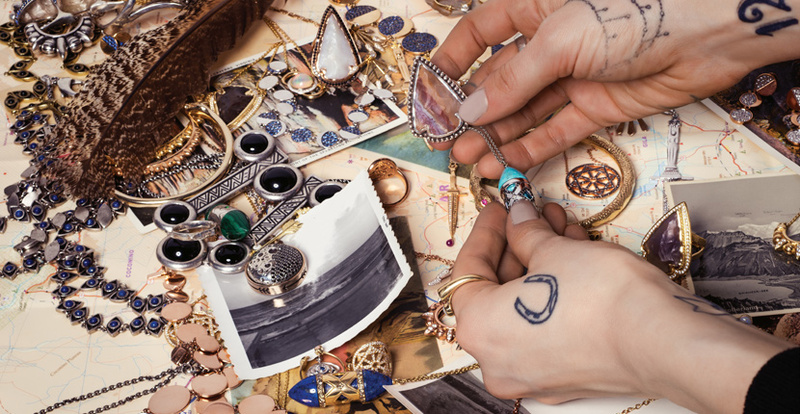 With all these preexisting story telling platforms, you might be surprised to learn the prolific designer who launched her fashion jewelry collection in 2007 and her fine jewelry collection in 2014 just published her second book with Rizzoli. Yes, I said second. Her first was a collaboration with artist Jordan Sullivan titled Ghost Country. It was a recollection of an excursion to New Mexico through pictures and poems. 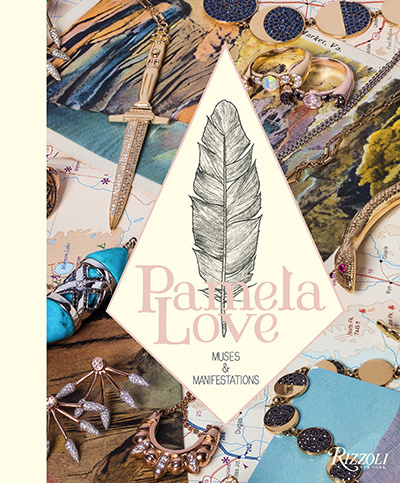 Pamela Love’s new book Muses & Manifestations is about her life in jewelry. Here are 7 things we learned about Love from the beautiful publication. 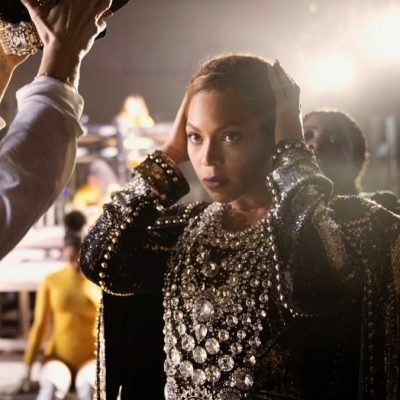 Love has had a flair for the dramatic with jewelry since she was at least five-years old. When she lost one of the little dangly square aquamarine earrings her mother gave her to wear after she got her ears pierced, she wore the other one alone as self-imposed punishment. 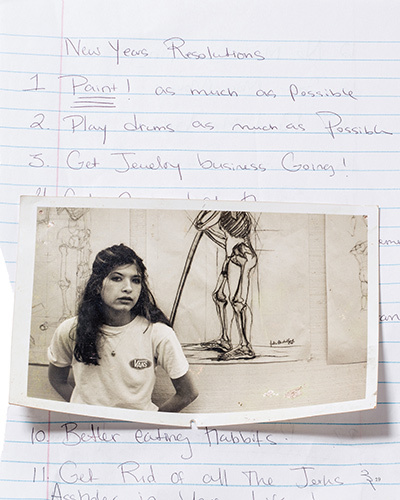 At 13-years old, Love designed her first jewels. She removed the bristles from glittery toothbrushes, melted them down and shaped them into bracelets. Pamela Love working in her studio. Photo from Muses & Manifestations (Rizzoli). Her senior thesis at New York University film school was about Alejandro Jodorowsky’s film Holy Mountain that features one character whose fatal flaw is wearing so much tacky jewelry it weighs her down. When Love went to work as an assistant for the contemporary master painter Francesco Clemente, she began expressing her creativity through jewelry, as she had done as a child. 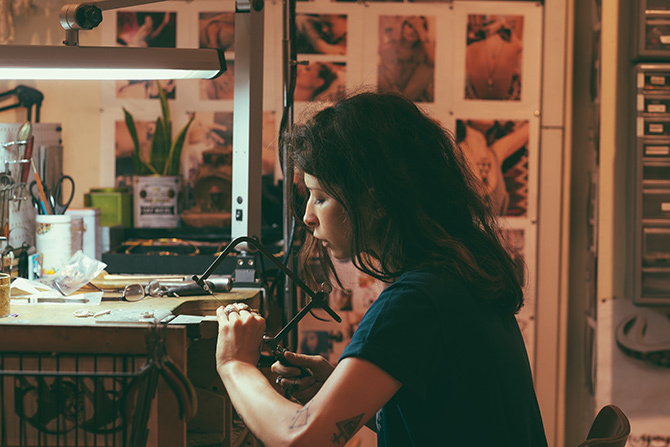 After her father passed away, Love eased her grief by creating her first full collection inspired by mourning jewelry from ancient cultures. One of Pamela Loves pin boards in Muses & Manifestations (Rizzoli). Love makes inspirational pin boards for each collection that are an imaginative mix of objects, photographs and drawings. The beautiful collages appear throughout the book.